Sach Pass is a 14,500ft high, high altitude pass in Himachal Pradesh, and connects Pangi and Lahaul Valley with Chamba. It is also one of the toughest passes in Himachal Pradesh and is a real test of determination and skills of the driver/rider and fitness of the vehicle. Since road to Sach Pass isn’t tarred and PWD is responsible for opening and maintaining the pass, it normally opens after Rohtang Jot and Baralacha La and closes before them. Normally Sach Pass is open from mid-June to mid-October and even during this period; it closes down frequently due to landslides and water logging. Add to that, even the road between Sach Pass and Killar can close down frequently during monsoon season. When this happens, you can cover Sach Pass from Chamba side, but cannot proceed further to Killar or Lahaul Valley. So when is the best time to visit Sach Pass? Best time to visit Sach Pass is immediately after the monsoon season and before the onset of winter i.e. September. This is the time when road is not only open, but also stable enough to not make you think twice about attempting it. In September you will also find plenty of greenery en route, and the weather would be pleasant as well. If you have to attempt Sach Pass before September, then my recommendation would be to go in July or August. Even though you will encounter monsoon rain, bad roads and landslides during this period, Sach Pass would be free of snow and more stable than it normally is in June. October of course is the worst time to attempt Sach Pass, especially if snowfall has already begun. Since weather can be quite unpredictable at that time and dhabas at Satrundi and Bhagotu would be in the process of winding up or would have already been closed. Once that happens, there will be nothing between Bairagarh and Preygran, apart from police check posts on either side of Sach Pass. At the end of the day, even though most people attempt Sach Pass because of its reputation as a tough pass and for a sense of adventure, it is best to avoid taking on unnecessary risks and travel when the weather is good. Hello Yogesh, we are planning a trip to Sach pass in the last week of April this year. Do you suggest it will be good time to go? also will Sach pass be open by then? Madhurima, Sach Pass wouldn’t be open before mid-June. I am planning to visit saach pass on bike in second week of may. Is it possible? Nope, Sach Pass won’t likely reopen before middle of June. I climbed the peak @ sachpass in 1974 June. Dalhousie to the pass we trekked for 2 full weeks. On the way the valley was so loaded with flowers and the beauty is indescribable! The fragrance of the earth and the tea from the villagers are worth the hard struggle to reach the pass which has a small peak. A great unique experience which humbles any arrogant human being! 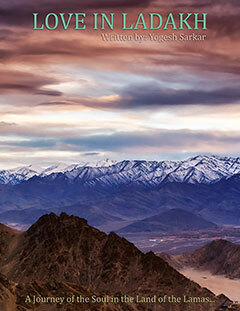 Hi Yogesh, myself Benny from delhi, and we are planning to go to sach pass on 4th night from delhi. We will be going in our Scorpio. It’s not a 4 wheel drive. I would like have your Suggestion on this. Is this doable or not. Where can I find last couple of year’s closure time of Sach Pass? Hi, we are planning this trip on a swift. Pls suggest is it safe. Also send me your contact no. will want to clear some points if possible for you. What do you think will the Sach Pass remain open till 2nd October weekend. Is too tough for the Car like XUV[FWD]. We are planing to Stay in Bairagarh and make day excursion to that place and comeback by evening. Please suggest areas we should be cautious of. Pardon me as theses are too many questions in one post. Thanks in advance. Puneet it would likely be open, unless there is snowfall. Kalaban onward the road is bad though it should be doable on an XUV. Please suggest, if you know, any good staying option around Bairagarh. Spoke to PWD ppl this afternoon but got a blunt “NO”. Hi Yogesh, i’m arvind from delhi, and we are planning to go to sach pass on 4th night from delhi by Swift VDI. i would like have your Suggestion on this. how about travelling in mid November this year? Pass won’t be open at that time. At that time sach pass road open. No, Sach Pass won’t open before mid-June. please tell me, is it possible to visit SACH PASS in MAY end. and from chamba is it possible to feel the snow in hand in the MAY Month. Sach Pass won’t open before middle of June. Yesterday 10 May , 2016 I went to saach pass with my family , Really I felt very dangerous Road and Area . Road is not good , we clicked pics near Waterfall , and return to back because weather was changing, little snow was on road . There I never saw any house,shop and people . So May month is not good for traveling in saach pass . Because Pass is not yet open. Road won’t be open early in June and there is no Himachal Tourism Office or Hotels there. You can try finding the status from SDM Office in Killar. Heyy yogesh, um raghav frm pathankot, us it sure that the roads will be operational till 20th of june as we are planning for it and will it be safe in a scorpio or xuv??? Hi Yogesh, We are planning to go Sach pass in mid august le me know is this is right time to go with Xylo. It is monsoon season, so not really the best time to Sach Pass, as there can be closure due to landslides. Hi YOGESH can you suggest river side camping in sach pass , killatr or bairahgar ?? None of these places have anything beyond basic accommodation and Sach Pass is just a pass, no accommodation whatsoever. In case you wish to camp on your own, you can camp at Bhagotu, which has a stream. There is also a stream while coming down from Sach Pass to Killar side, but there isn’t enough room to camp there. This is going to be next to impossible, unless you want to stay on road for each day for more than 14-16 hours and no landslides occurs. Better keep the itinerary limited to Sach Pass, and you should be alright. Hi Yogesh, me and my office team mate are planning for Sach Pass in 2-3 week of Sep by our cars Santro & Accent, would u plz confirm that these cars can help us there or we have to hire some SUVs. Kishan, while both the cars would strugle due to low ground clearance on Sach Pass route, chances of Accent getting damaged is more due to greater overhang of front and rear bumpers. My suggestion would be to hire an SUV if possible. Hi Yogesh, my question related Kishan’s question. Can you please help us in sharing that we should take packed foods or we will get dhabas, also feul is the most important thing do we need to carry extra fuel along with us. You will get food at dhabas, however at PWD guest house, if the caretaker is sick and you arrive late, you might not get any food. So it is best to take a few packed food packets with you. There is no petrol pump between a few kilometers after Chamba and Tandi i.e. around 300km. So unless you drive a vehicle which cannot run for 350-400kms in a full tank (mileage would be low at times), it would be a good idea to carry enough spare fuel with you. Also please let us know that do we require any army approval? Can we ride through sach pass in this october ? what will be the road condition ? when does snowfall starts generally ? and please tell me anything whatever you think about it. Snowfall starts in October, pass closing is dependent on the weather. If it snows heavily, road can get shut down for a few days or permanently. In all likelihood it would be closed by then. Kindly Let me know if this looks good/doable or you have other suggestions. Instead of spending night at Chamba, spend it at Bhanjraru. Closer you are to Sach Pass, the better it is. After Sissu, Chandertal would come before Kaza. So you can do Sissu Chandertal on day 5. Rest looks fine. Make sure to visit Mummy at Gue, Pin Valley, Dhankar and Key Monasteries. Thanks for the great pointers Yogesh. My only concern is ” are roads open between Bhanjaru To sach, then sach to killar and then killar to keylong? Which will be the most cumbersome stretch and I heard it might be closed 🙁 /?? Everything depends on the weather. Even though Sach Pass should reopen by then, it can close due to rain or snowfall. From Kalaban to Killar, road is bad. 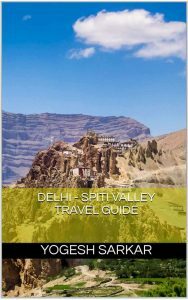 For road status, keep an eye on this thread https://www.bcmtouring.com/forums/threads/2017-lahaul-spiti-and-sach-pass-road-status.70001/. I am a solo traveller. I went on solo drive upto Khardungla.in My Innova.did quite good. I am heading for Sach Pass this September. What’s your advice….whether Innova would be ok ??? Or nothing less than 4×4??? I am inspired so much by your writeups….Please give me your valuable tips. Hello Suj, you can definitely do Sach Pass in your Innova, as long as you attempt it, after the monsoon rain has subsided (usually by second week of September). During monsoon season it is also possible. However, chances of non 4×4 vehicle getting stuck due to mud is higher. Apart from that there shouldn’t be any issue, even though there are sharp hairpin bends, they can be tackled in Innova. It is a little early on in the season, but as long as the pass is open (it hasn’t opened yet and initially it can close down temporarily due to avalanche or landslide), you should be alright. As per my talk with a local in Bairagarh the pass will be open from 11th June. However as Yogesh rightfully said initially it can close down temporarily due to avalanche or landslide). BTW we 4 friends are going to sach pass and then to spiti from Delhi starting 24th june on bikes. It can, but at places it would be fairly difficult for the hatchback with ground clearance issue. So expect at least some bumper and underbelly damage, even if you’re driving carefully. yet i wud respect what Mr yogeshsarkar has to say on it. His advices which i have been reading now for long are the best and accurate. In fact the best…. If one wnts to go to Sach Pass, it is very very dangerous . From Chamba keep on along the River Ravi then cross Bira Garh , Satrundi (Army Post) whre Army people take photographs and one gets maggi to eat. My avice is not to go because the there is Kachcha path with cut stones which can damage the tyre of vehicle. Vehicle should be small jeep , speed of vehicle is 10 – 20 Km. if, God forbid, your vhicle breaks down then it will be very very troublesome to get it repaired. Last shops you will get only in Baira Garh and after than it is Satrundi (very close to Sch pass say 4 Km). Two years back Sept. 201 ) I went there with my wife son and grand son in Swift Dezire, but such vehicle is no no for such a touch route. Tandi , near Kellong. After Chamba you will not find a single Petrol Station, so keep extra fuel with you. From Udaipur one gets Kuchcha and Pucca road off and on and after passing half way towards Kellong then Pucca road appears till Kellong. Night say at Kellong. From Kellong to Rohtang Pass rod is again in not good shape and heavy traffic. Then Rohtang to Manali, Mandi, Chandigrah and back to Delhi. 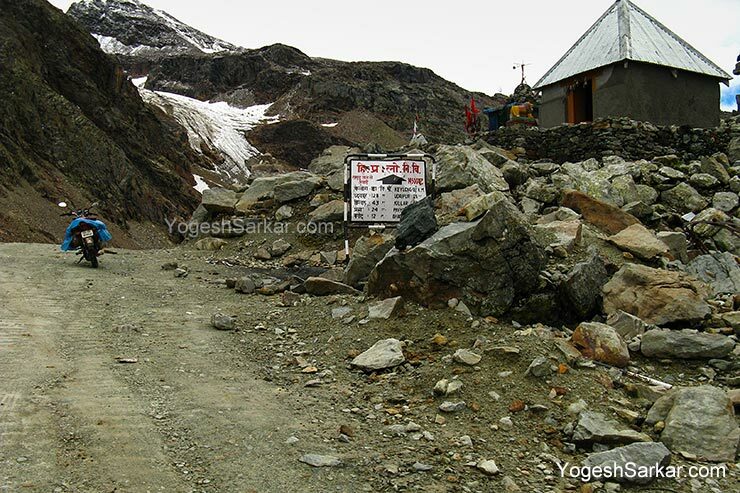 Hi Yogesh, what do you think are the chances of Sach Pass being open in the first week of November? Thanks in advance! Extremely slim. Even if it is open, single spell of heavy snowfall can close it. I am planning to travel solo to sach pass from Delhi in EcoSport. The itenary is still being planned out, but the best bet is 5 day trip near August 15. Is it a good time visit considering monsoon season? Chances of landslides would be quite high and road condition would be worse than normal due to rain. we are 3 people planning to go sach pass in HONDA CITY in last week of september. Is it safe this time in honda city specially? ?